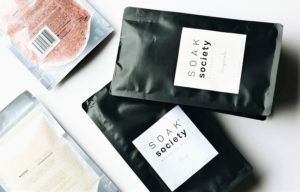 We catch up with Natalie from Soak Society – this Aussie brand of wellness soaks uses natural & organic ingredients to promote relaxation and me-time. 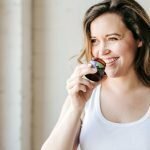 We find out the benefits of soaking and how her biz came about. 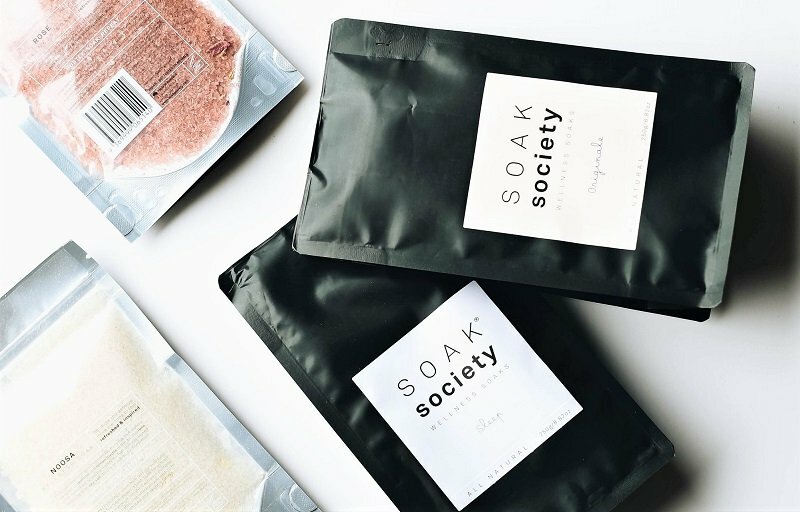 Tell us about Soak Society – how & why you started? I had just returned from living in Guadalajara and was working in a cafe in Brisbane where I was on my feet for long periods of time and would come home with aching legs and feet. I started a nightly ritual of epsom salt baths, and I would mix in clays (for skin softening benefits), other kinds of mineral salts, and essential oils. I’d always been entrepreneurial and after researching the market, I realised nobody else was creating this kind of product for a reasonable price in Australia. I knew what I wanted the package design to look like from the very start, and the name came quite easily too. Looking back, the whole process was very intuitive. I launched with a basic website and one product (our Originale Wellness Soak). Over the past four years I’ve added more soaks to our range and we are now stocked in over 350 stores in Australia, the US and Japan! What are the benefits of soaking? SO many, where do I start!? For me, the number one benefit is the time alone dedicated to me. The ritual of choosing which salt or oil I will use, plus a face mask, it’s just so special and I don’t know of many other ways to have that alone time at home without interruption. As an introvert, I crave and value this time to myself to feel refreshed and recharged. 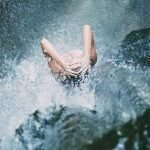 Second to this is the many health benefits, documented over thousands of years from cultures such as Japan, Morocco, Turkey – all of which used bathing as a cleansing ritual. There is now evidence that soaking do things like reduce your risk of heart attack and stroke, and can be as effective as exercise, because of the increase in heart rate. I love the glow that it gives my skin, the hot water gets your blood pumping and can help with circulation in your body. When you add magnesium to your bath (all of our Wellness Soaks contain epsom salt), you are adding a mineral your body absorbs directly through the skin, that a lot of us are deficient in! If we were to try one product from the range what should we try? BathDew! 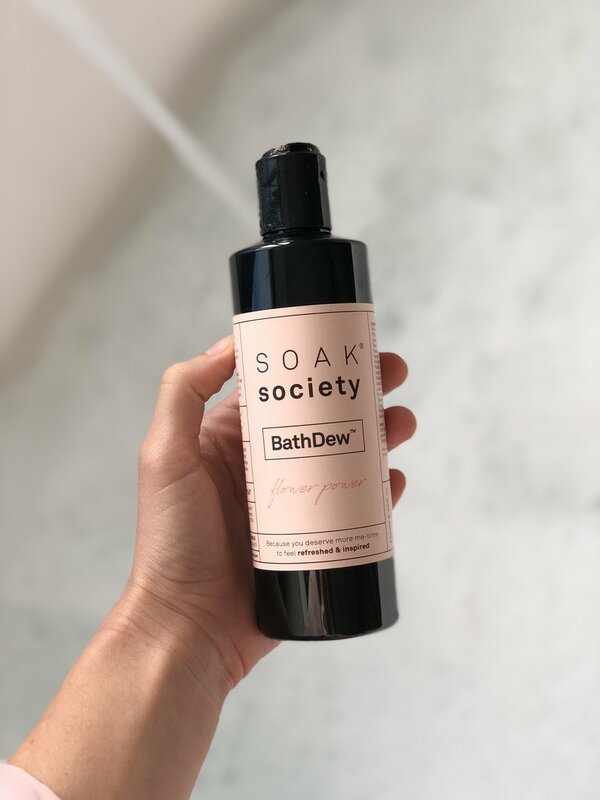 Our newest and most exciting product, I worked for over a year on developing this all natural bubble bath that contains organic ingredients and added magnesium and a vegan collagen extract called larch tree. Your skin will feel smooth and hydrated! Do you have a daily non-negotiable habit for health & wellbeing? In Winter I have a long soak most days, but my other non-negotiables are: being kind to myself/positive self-talk, getting at least 8 hours of sleep, and using lavender essential oil for a good sleep! Life can get hectic and busy, especially trying to balance family/friends with running a business – what do you like to do to destress and unwind after a busy week? Yes it can, but I believe in ebbs and flows of life/business. What this means to me is that I listen to my gut instincts and don’t try to force anything if it doesn’t feel right. For example, if I’m having a week where it feels like not much is happening, I will take advantage of that and schedule in more me-time, or take a day off to see friends or spend time alone on the beach or just at home! On the flip side, when a lot is happening in the business, or when I am extra motivated/inspired and feel like I want to work until late at night, I take advantage of that too! 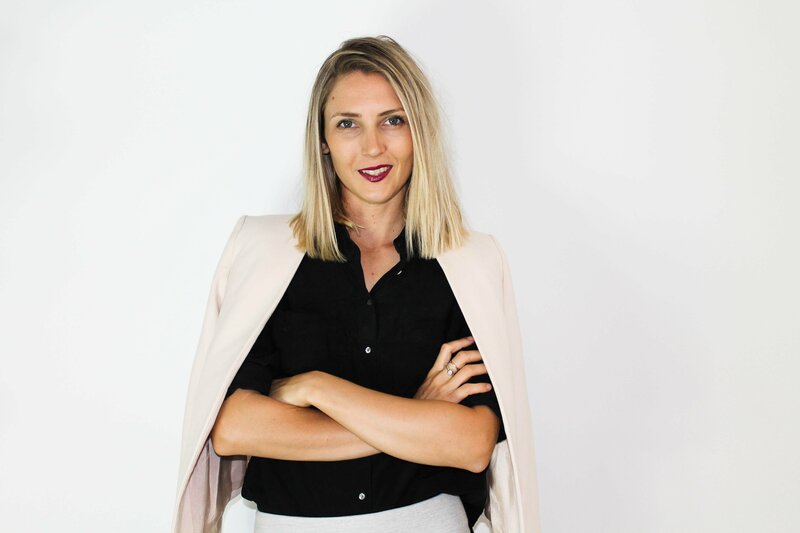 Being a business owner is a lot different to working for someone else, and I’ve learnt that building resilience is important, but so is making sure that I am OK, physically, mentally and emotionally – because Soak Society relies on me. To go back in time. I’d love to see what it would have been like when my parents and grandparents were growing up! summer / winter – Definitely Summer, I can’t handle the cold well. sunrise / sunset – Sunset!